Can financial regulation ever become truly digital? Will it ever be possible for financial regulation to be applied at FinTech speed and ensure regulatory objectives such as financial stability, consumer protection and combatting financial crime can still be met? What are the practical steps along the way to Digital Regulation? 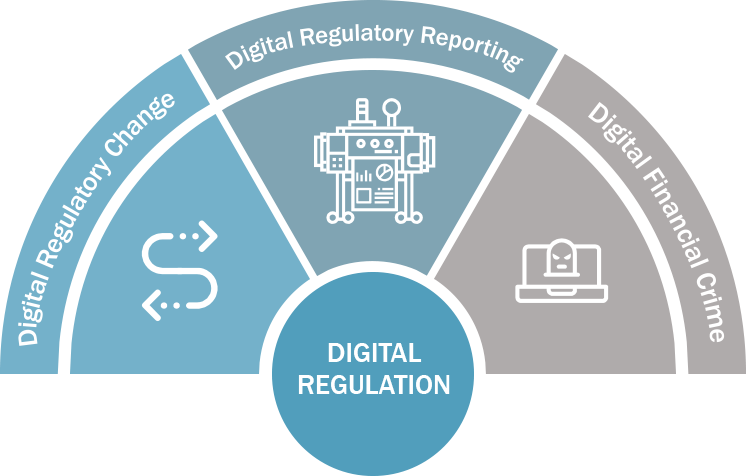 These are some of the questions RegTech Associates is going to be exploring in collaboration with international regulators and financial institutions as part of our Digital Regulation Event Series. These will be events with a difference – not just discussing the challenges of Digital Regulation but mapping out action plans and developing tangible output on industry best practice to achieve them. We want to translate talk into action. Our series of workshops and events will kick off in October 2018 and will run though to 2019, covering multiple cities and regulators. We want to ensure that we involve people from the global financial industry who deal with the challenges (and opportunities?) of financial regulation in their day-to-day lives. Collectively we can uncover the problems and obstacles in the way of true Digital Regulation and find ways of overcoming them using smart technology and the latest thinking. Click on the relevant topic to find out more about the events and insights and how you can get involved or contact us below for general information.